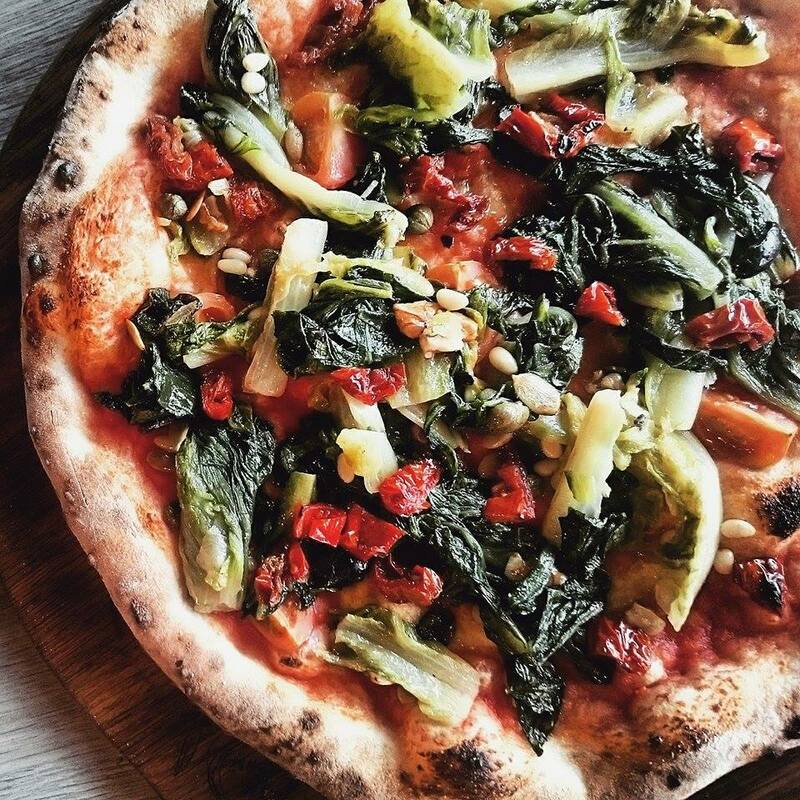 Even though Jurgis ir Drakonas started with pizzas and they are our best sellers, we pay a lot of attention to our other dishes as well. We work hard on soups and salads, especially now when it’s summer and lighter dishes are preferred. Our goal is for them to be always fresh, tasty, unique and different. The JD chefs are always adding seasonal options. This is why JD salads are always fresh and soups are interesting. Variety is one of the most important aspects – if you eat soup in our restaurants all month every day – they will never be the same! We offer a wide range of creamy soups, unexpected combinations such as beetroots and nduja, chickpeas and Chorizo. And of course some classic soups – tomato soup made of sweetest San Marzano type tomatoes, Scandinavian mushroom soup…And now that the summer is here – we could not survive without Gazpacho. We are also very proud of JD salad bar – it is a source of freshness and taste!!! You will find 3 different salads everyday. You can choose size of portion – large or small plate. Also you can choose 1 or 2 salads that you want to eat and one of five best salad sauces. All kinds of salad live there – starting vegetarian and ending with meat / cheese / grains. You can find this salad bar in Akropolis and Ogmia restaurants. And our Pylimas restaurant is a small one, so there is no salad bar, however they always have different fresh and tasty salad of the day! 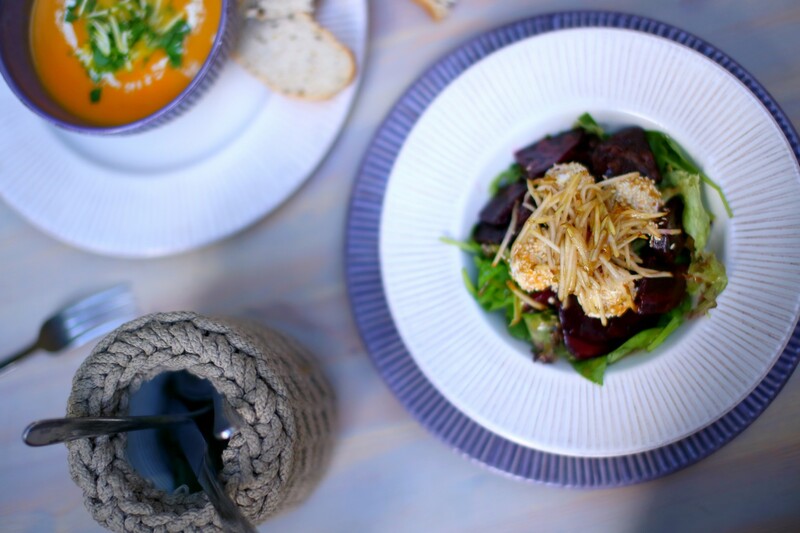 We think that there is no-one who would refuse a bowl of Gazpacho and salad with beetroot and feta balls…Or maybe you would like to try beetroot soup with nduja and special Beata’s salad with mango, feta and roasted Prosciutto? Come and have healthy, fresh, tasty, unexpected and everyday – different lunch! Hurray! We have good news for all pizza lovers! 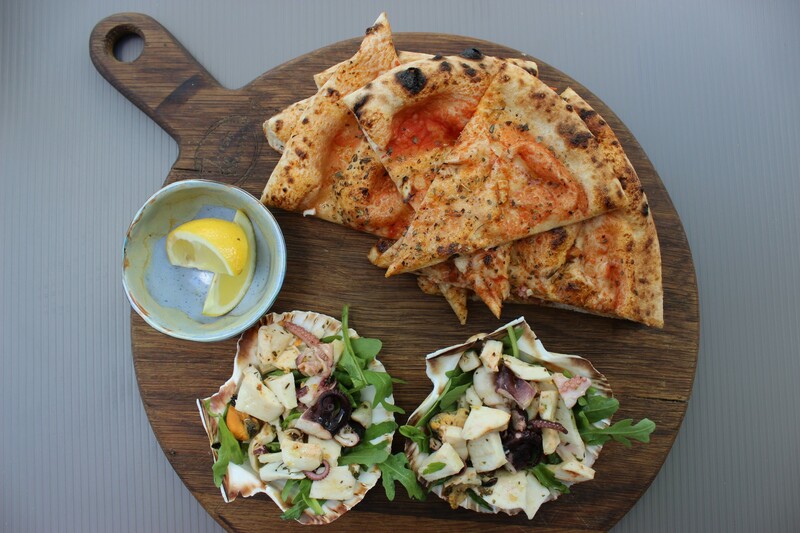 We had plans to offer seafood pizza for some time now, but it was delayed because of lack of good quality seafood. But recently Tom and Michele went to Italy and found premium quality seafood there. Of course, we shipped this seafood to Lithuania! Michele baked pizza bread with tomato sauce, garlic and oregano, which goes perfectly with seafood and vuola – pizza for all seafood lovers was born. 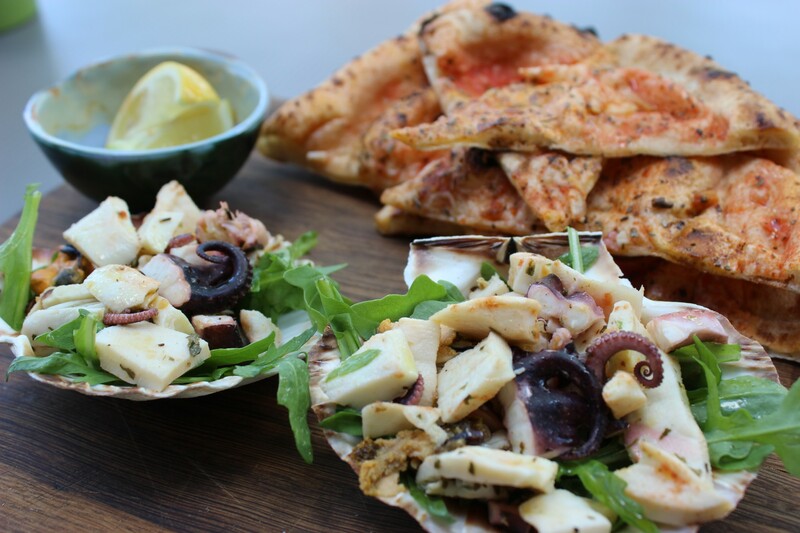 Pizza is not the only way to try this seafood – you cal also order it as a side dish! It’s especially recommended to try with a green salad. Most popular month’s special pizzas are back! Every month we offer different special pizza. Some of them become really popular and customers wants to order them after that month. So we are happy to announce that the most popular month’s special pizzas are back! Starting today, you can find miss February ‘Cheesy’ and miss April ‘Vegan’ in our menu. Cheesy pizza is special for all the cheese lovers. Even 5 types of cheese are combined here – necessary Mozzarella and Parmesan, the delicious Cheddar and gourmet Emmental and Blue cheese. We love all kinds of cheese so we spend a lot of time and effort while choosing best quality that we can serve for our customers. Mozzarella and parmesan come straight from Italy while we buy other types of cheese in local gourmet shops. 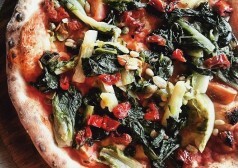 Vegan pizza is also special, because it was found during last JD team trip to Naples in pizzeria 50calor. Beata saw a beautiful green pizza coming from the oven. We told we want to try it and after we did we realized that it is FANTASTIC! 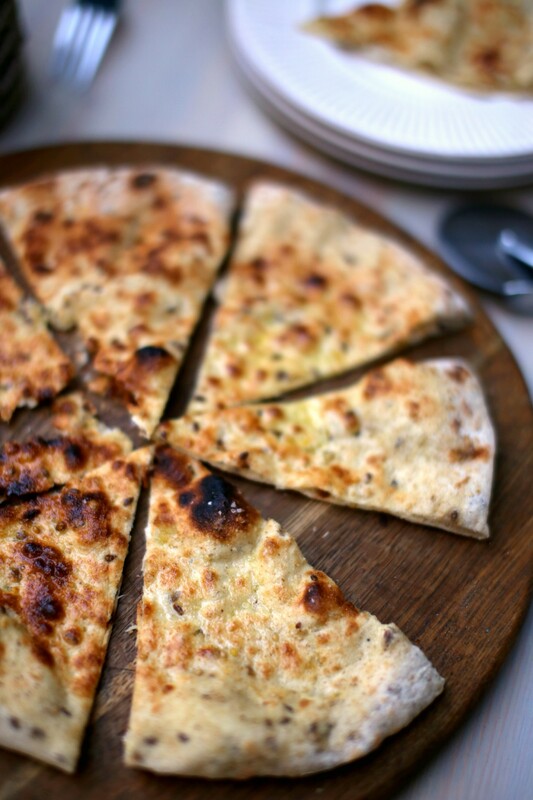 We tried to make similar pizza with the help of our Italian chef Michele, who knew the recipe. So with his help we created our vegan pizza -shortly stewed roman salad with a little bit of garlic and extra virgin olive oil. As there is no cheese, protein comes with the help of nuts: walnuts, pine nuts and pumpkin seeds. And finally some taste torpedos – cherry tomatoes, sundried tomatoes, capers and olives. This delicacy immediately became beloved even by those who can’t live without cheese and meat. 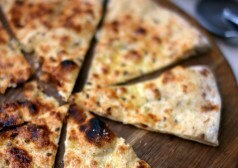 Whole grain pizza base – tasty and healthy. Now you can order your favorite pizza with whole grain flour pizza base. This rustic flour is ground in a special way which lets to preserve all grain’s nutrition: fiber, B vitamins, minerals and antioxidants. You have to try it – the taste and the structure of the base is really special. “Vilties bėgimas” is an annual running event in Klaipėda. All the money collected in it is donated to West Lithuanian Oncology centre. Even though Jurgis ir Drakonas is located 300 km away from Klaipėda, but also participated! 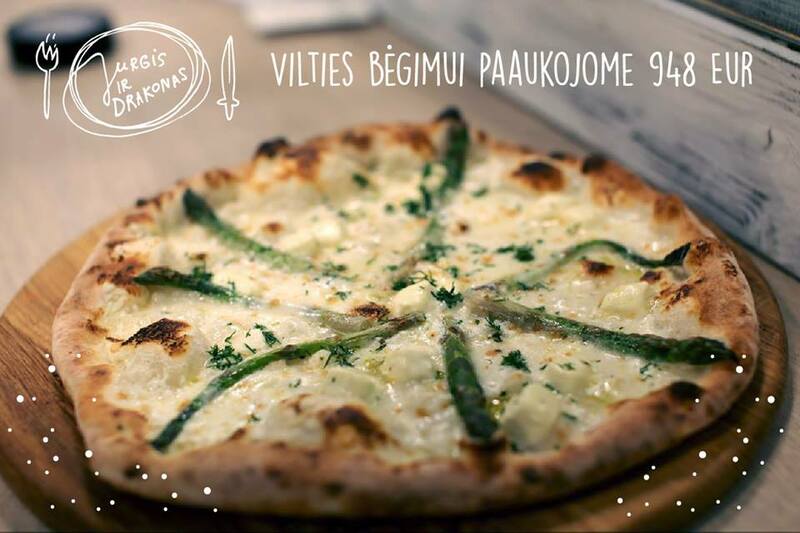 At first we created a special pizza with asparagus and for one week we suggested our customers not only to taste that crazy delicious pizza but also contribute, as half price of every pizza was donated to oncology centre. Today we are very happy because we managed to collect 948 Eur. Money for West Lithuanian Oncology Centre is donated and we wish everyone delicious asparagus and of course health! 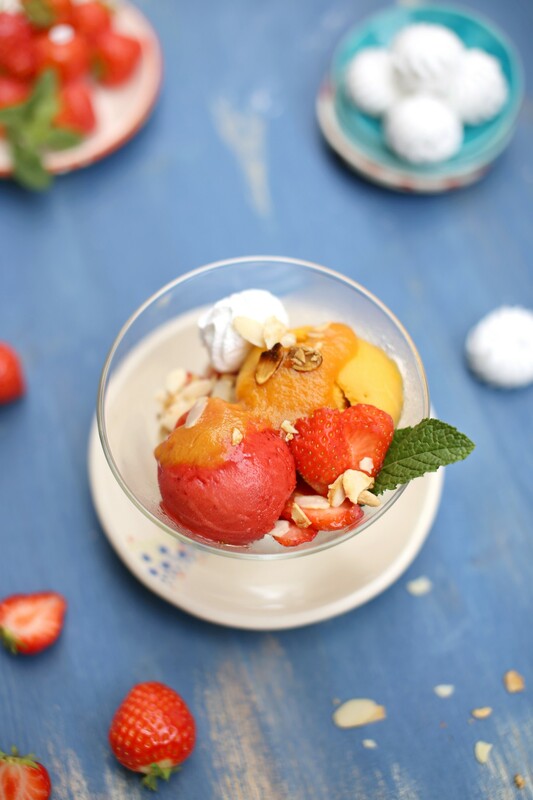 Summer is here and so are new desserts and cold drinks in our menu! 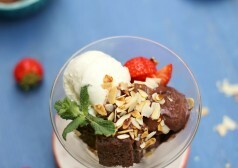 It is a must to try our new desserts with the most delish ice cream. 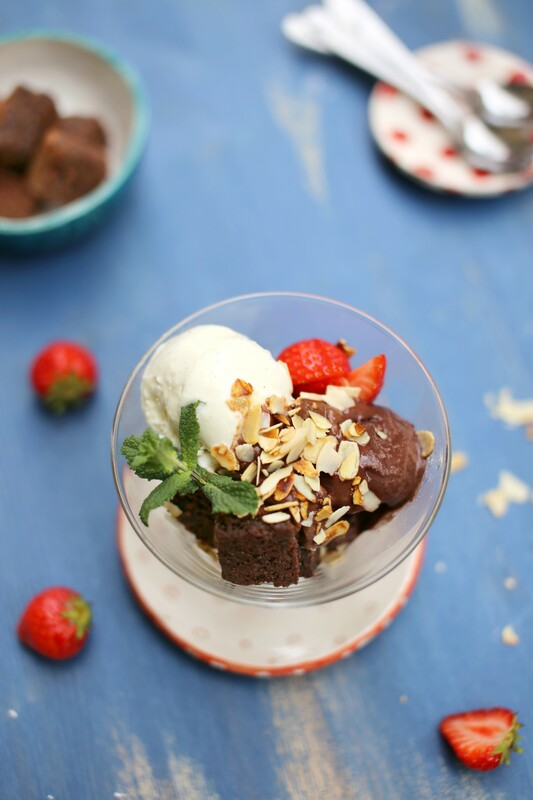 One is very rich and sweet with vanilla and chocolate ice cream, chocolate brownie and caramelized almonds and another one is with lighter and fresh with two kinds of sorbet, exotic fruits puree and morengo. 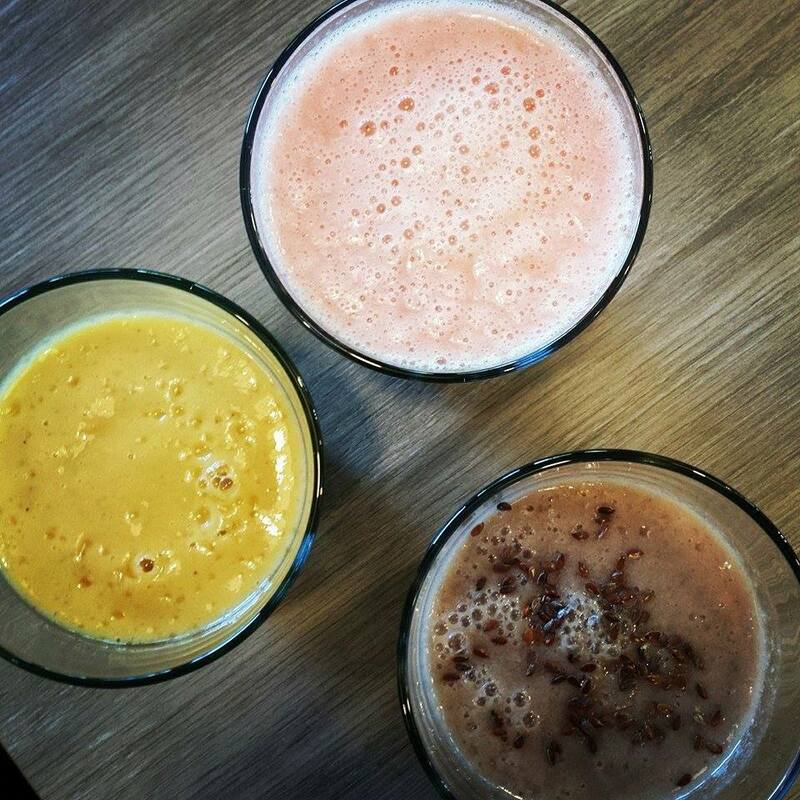 We also have three new smoothies. All of them without any tricks – without sugar or syrup, the sweetness ant the taste comes from the blended sweetest Brazilian fruits. 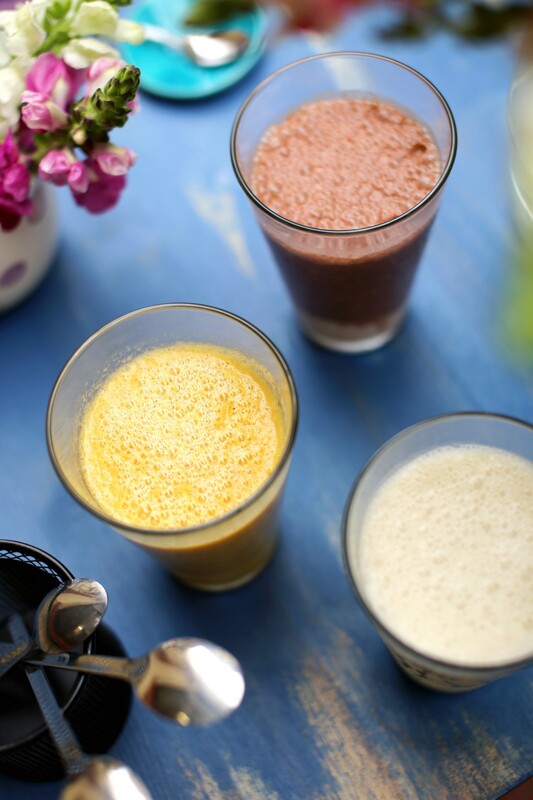 All smoothies with banana as it is not only tasty and delicious but also gives a smoothie the perfect texture and sweetness. 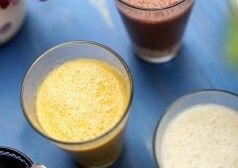 These smoothies consist only fruits so it is suitable fr all our friends vegans and vegetarians. SuperHero. Superberries Acai, supertropical Graviola, pineapple, banana and linseed. A real energy and health bomb! Overseas prince. Intoxicating, exotic and very delicious. Mango. Passion fruit. Lime. Banana. A real princess. The color disarms and the taste makes you want to hug the whole world. Strawberries. Pineapple. Banana. 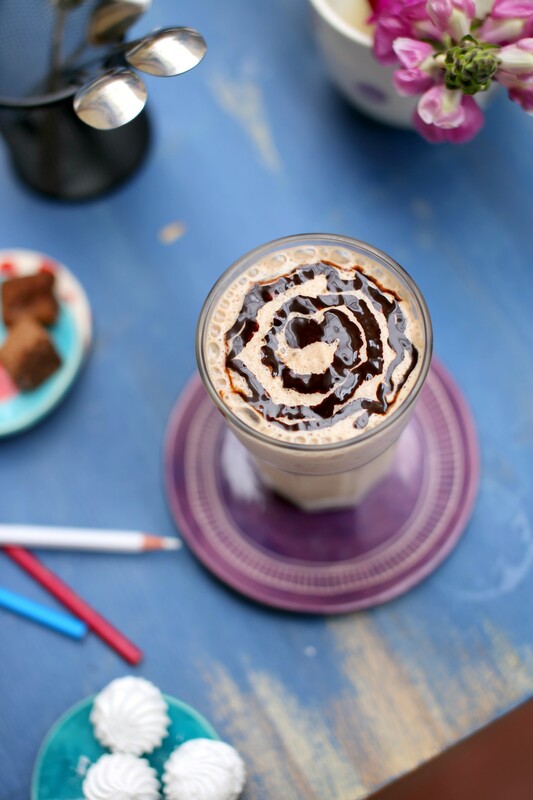 And of course we didn’t forget children and those who sometimes want to get back to the childhood – vanilla and chocolate milkshakes, also with banana. 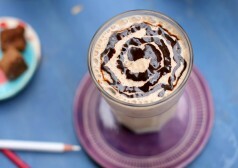 And finally when it is so hot outside you can always freshen up with cold coffee frappe and ice tea! You are currently browsing the Jurgis ir drakonas blog archives for June, 2015.